Emeryville-based exoskeleton maker, suitX, is still in need of additional test pilots who can try out the company's Phoenix suit. They are currently looking for individuals with spinal cord injury levels T4 - L5. The Phoenix is a light and affordable suit to assist people with limited mobility in standing and walking. 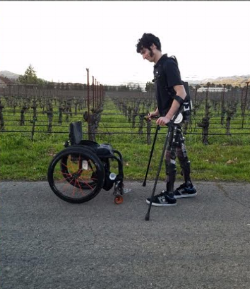 This is a unique opportunity to test a novel minimal exoskeleton, provide product feedback, and help make a meaningful device available to the public.